Please join us with your friends at a launch party for our 2016 fundraising campaign at the fabulous Du Nord Cocktail Room! There is no admission charge for this event. Attendees will be invited to make an online donation to our Indiegogo campaign that will kick-off on June 28 with a goal of $10,000 for the run of the campaign. Du Nord Craft Spirits has offered to donate a “spirits tasting flight” to the first 25 guests who donate $35 or more at this launch party. The tasting flight involves a sample of each of Du Nord’s nationally award winning spirits – L’Etoile Vodka, Fitzgerald Gin, and their new spiced apple liqueur, Apple Du Nord. Funds raised from this event will support the creation and production of “Horidraa,” our new dance theater work. Ananya Dance Theatre will receive all of the online donations for the event. 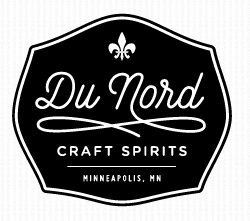 Those who are not among the first 25 contributing at least $35 can purchase craft liquor products, and Du Nord will retain the retail proceeds of those purchases. “Horidraa” will be presented at The O’Shaughnessy, September 16-17, 2016.